As we were recycling shell from last week's fundraiser, it occurred to us that we have some new participants in the shell recycling program that we operate with Save That Stuff. The Mandarin Oriental Hotel has joined the program through its terrific new restaurant Bar Bouloud. We were pleased to have such a renowned chef as part of our program. Daniel Boulud was born and raised in Lyon, France, but based in New York for over 30 years, his roster of restaurants include Bar Boulud, Boulud Sud, db Bistro Moderne and DBGB Kitchen, although arguably he is best known for the three Michelin-starred DANIEL. The author of 8 cookbooks and the recipient of multiple awards including Chevalier de la Legion d’ Honneur from the French Government, Chef Boulud’s seasonal French American cuisine is celebrated around the world. 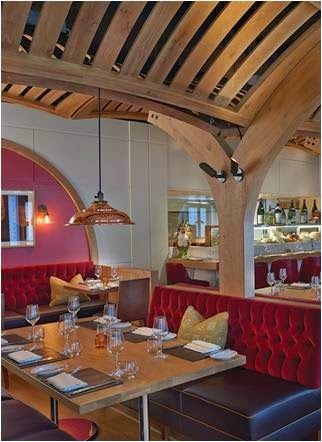 Located at 800 Boylston Street in Boston- Bar Bouloud supports oyster restoration by recycling shell. Bergamot Restaurant of Somerville is now recycling as well. The restaurant is located at 118 Beacon Street near Harvard Square and the Cambridge Somerville line. Bergamot founders have combined their love for great food, wine and friends. You’ll see Keith in the kitchen and Servio at the door. 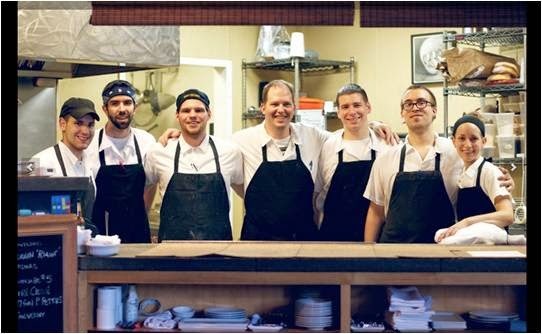 We’re cooking up “Progressive American Cuisine” — they’re having fun with the best local produce they can find, complementing it with ingredients from around the world, and serving it with neighborhood warmth. Ask about their daily $42 Prix-Fixe Menu which Keith changes several times a week, reacting to our fresh-from-the-farm deliveries. They’re open every night with a full bar, creative cocktails, great bar menu, a fantastic wine list with surprising winemakers and price points, and a talented kitchen crew. The restaurant also has free parking! Bergamot Staff happily recylce their oyster shell. East Boston Oysters recycled the shell from their recent local food event at the East Boston Kitchen. Their Shuck and Huck event consisted of five oyster courses.